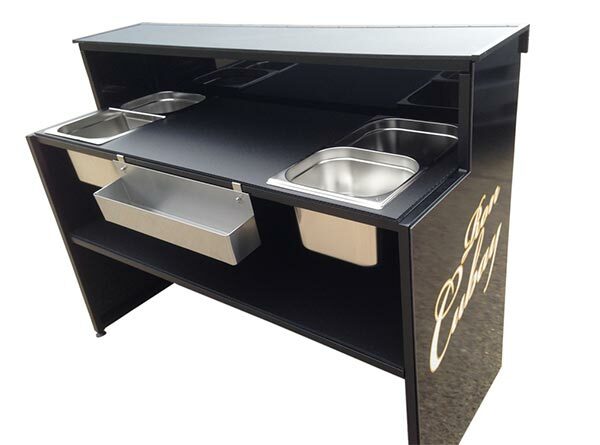 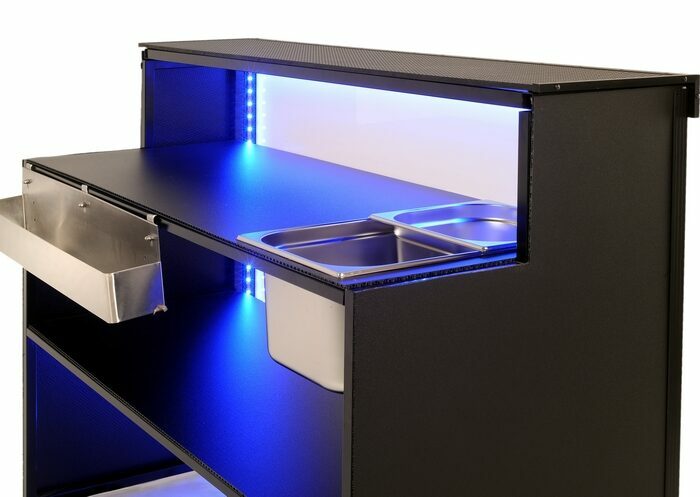 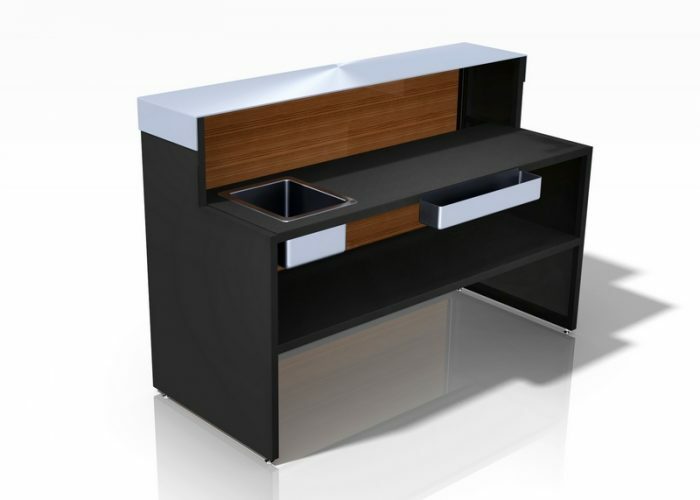 If you’re looking for a professional mobile bar for the hospitality industry that offers you great value for money, the Bar in the Box is the mobile bar for you. 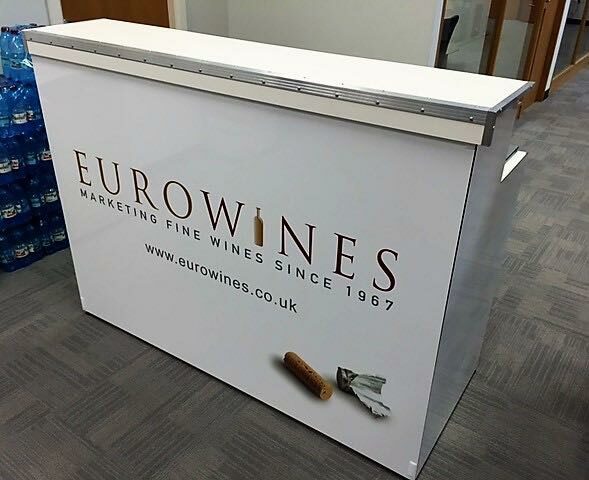 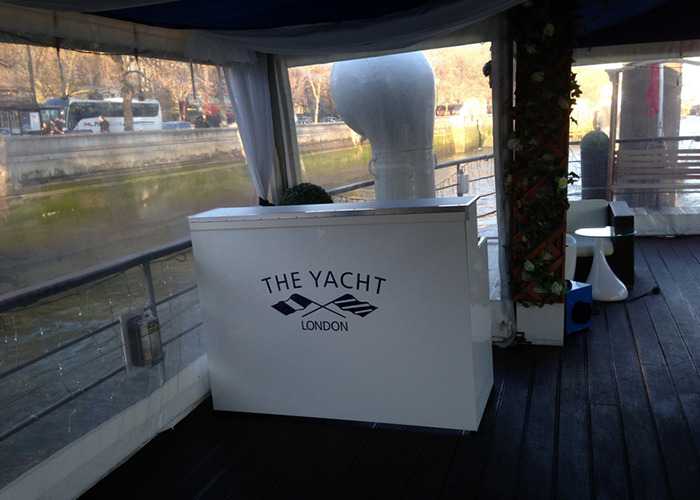 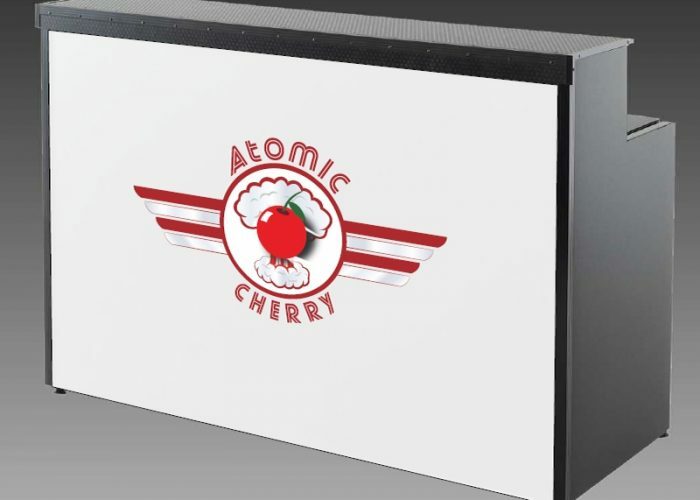 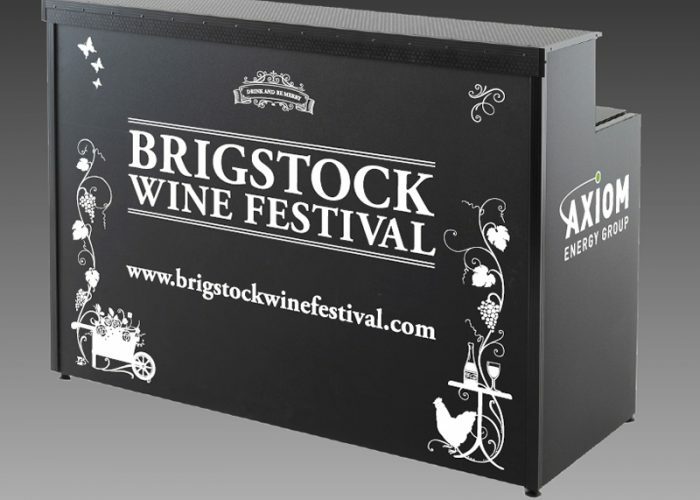 The Bar in a Box is ideal for those wanting simple assembly and break down, making it perfect for venues with limited storage space, or for those wanting a temporary bar that is easily transported between locations. 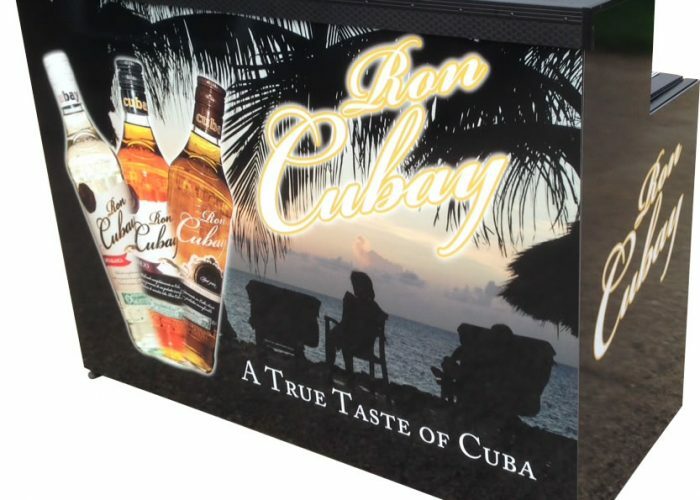 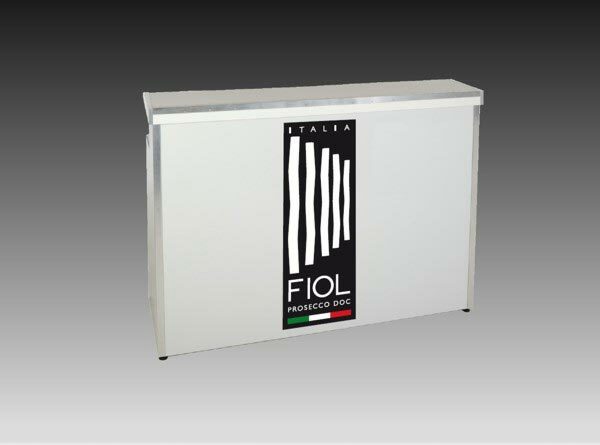 The Bar in a Box is the only Oasis Bar that can truly be called a ‘pop-up bar’ as it will fold down flat and can be easily transported, or stored away. 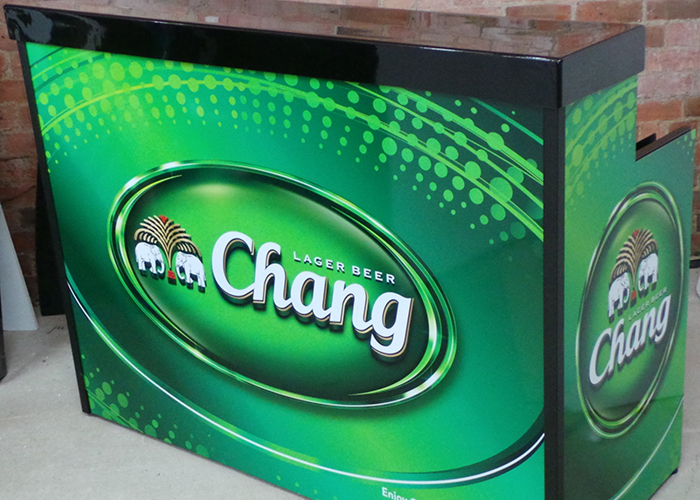 Perfect for those who are in a hurry, the Bar in a Box needs no tools for assembly and can be set up in under 5 minutes. 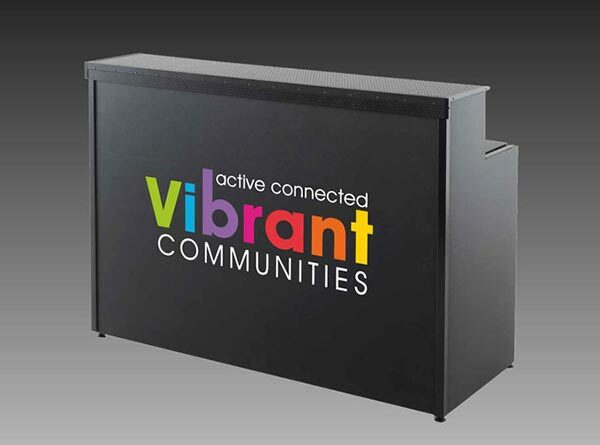 Available in a variety of finishes and colours, including our new GRP tops, plus the option to apply graphics to the front and side panels, the Bar in a Box has a wide range of display options. 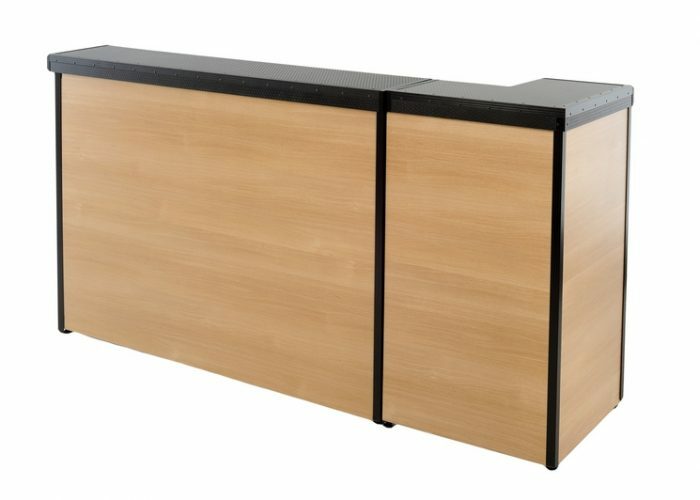 Just look at our gallery for examples. 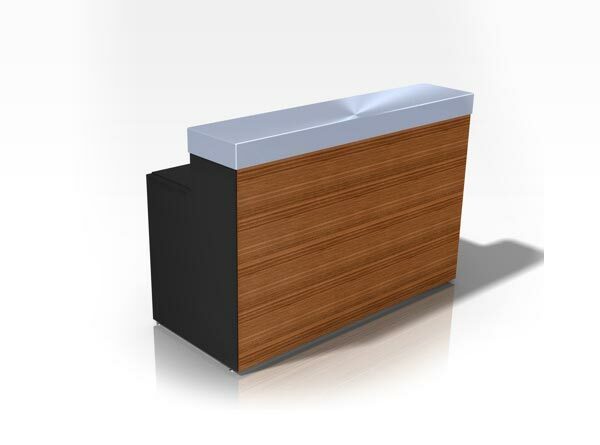 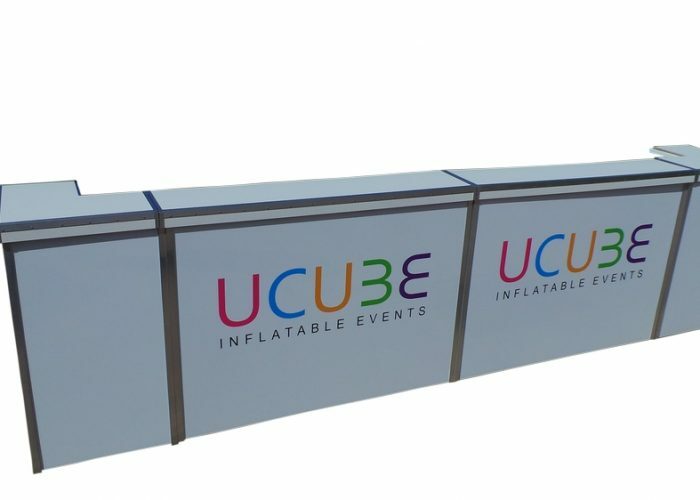 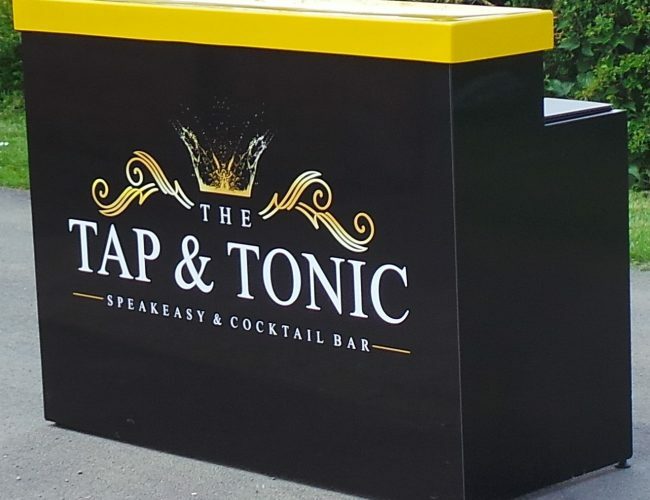 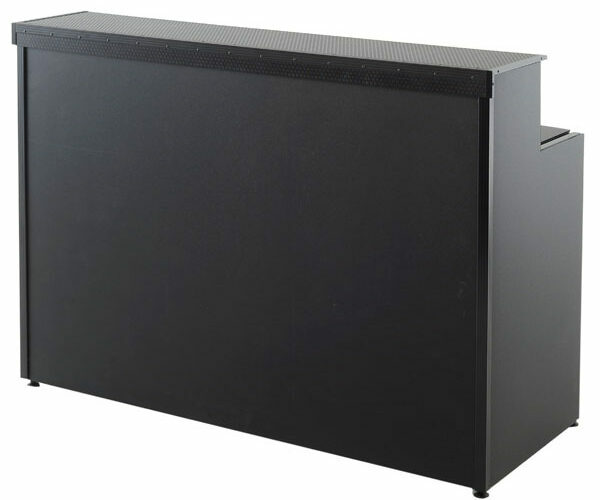 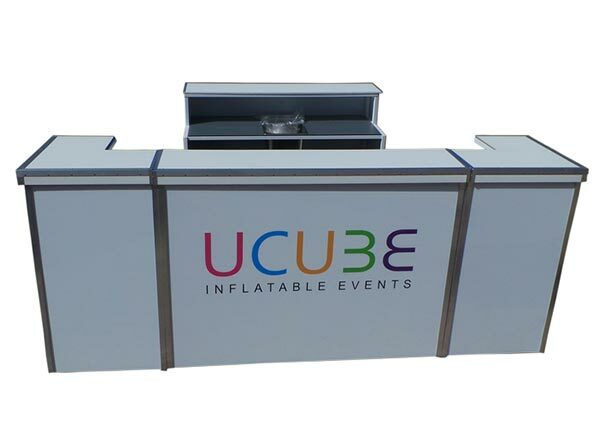 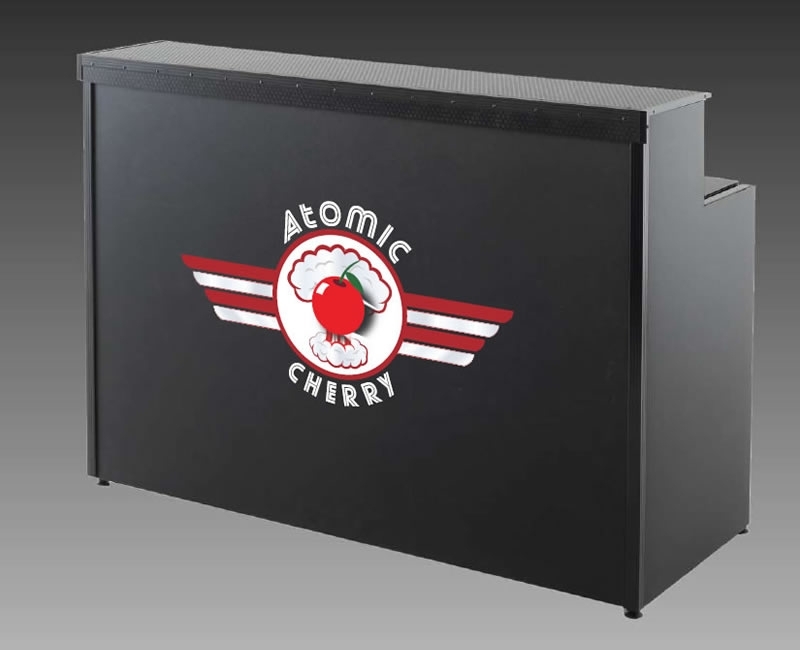 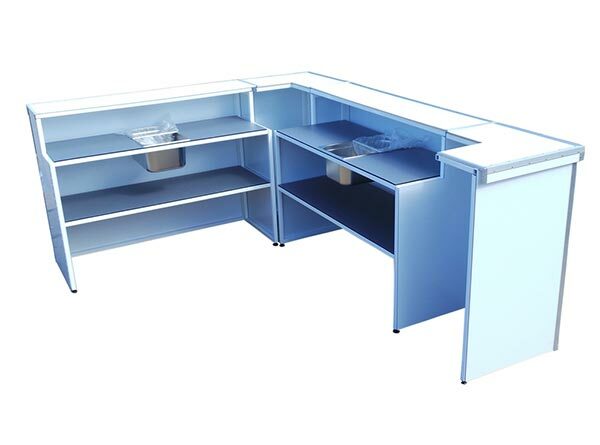 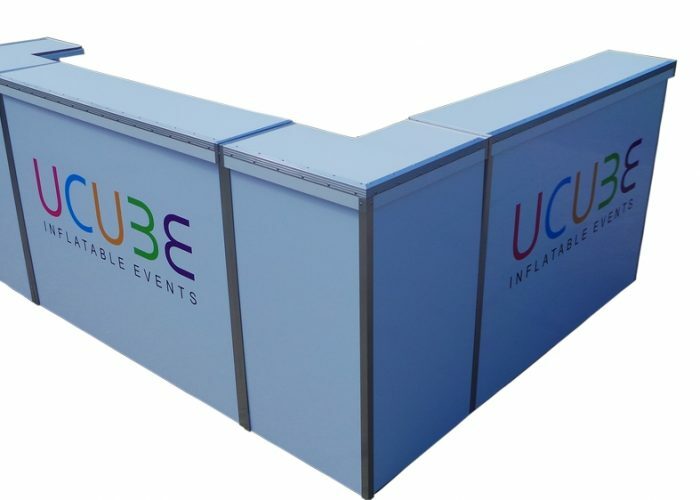 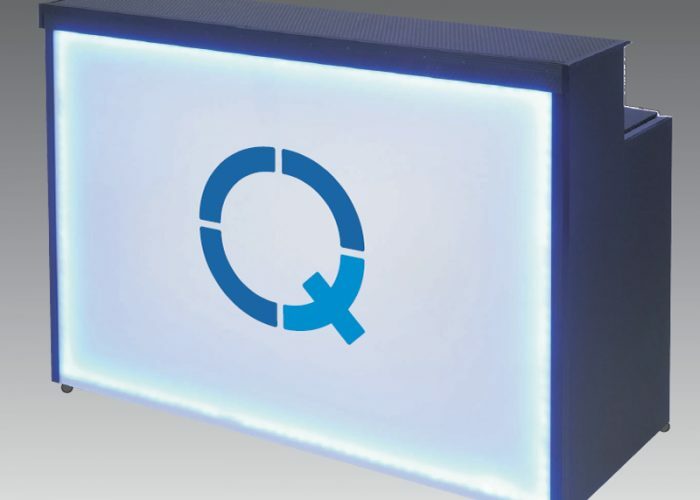 The Bar in a Box has interchangeable tops and panels, which means that you can easily change the appearance of your bar by ordering different coloured panels or tops, then swap them for different events. 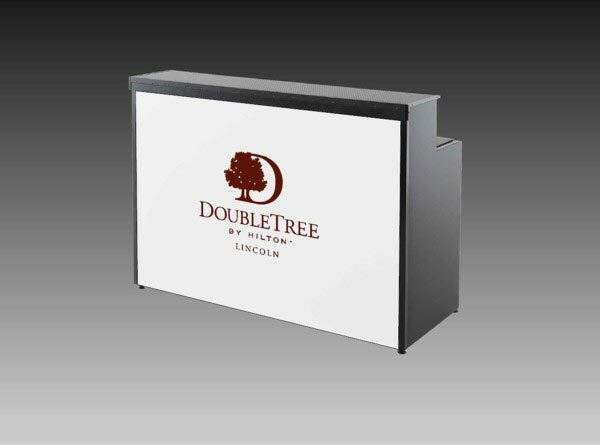 The panels can be easily removed and replaced, if damaged. 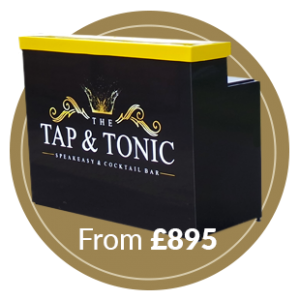 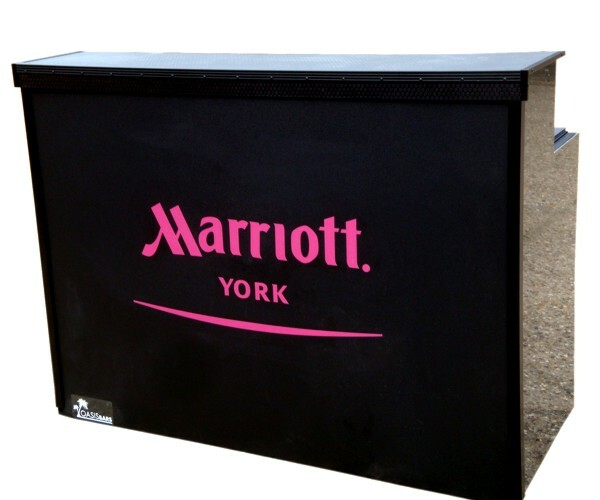 The Bar in a Box easily fits into a set of padded bags, which have both wheels and handles for easy movement, whilst protecting the bar itself.